(Credit: Wikimedia Commons. )Dorada Plaza de la Cruz (English: Square of the Golden Cross) in the city of Plasencia. 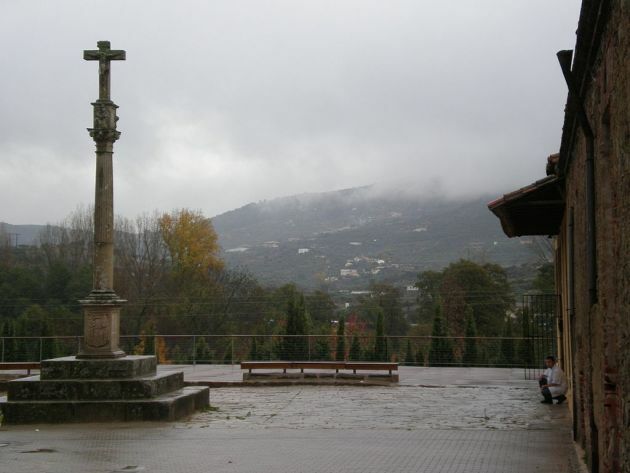 MADRID, May 19 (Reuters) - The village of Castrillo Matajudios in northern Spain will vote on Sunday on whether to change the name it has had for 400 years and purge a vestige of the religious persecution meted out by the Roman Catholic Inquisition. Village Mayor Lorenzo Rodriguez has led the drive to rename it Castrillo Mota Judios, or Hill of Jews. "We've been labelled as being a village where Jewish people are killed, accused of being anti-semitic. The reality is this is a village descended from a Jewish community," Rodriguez said. Rodriguez's campaign also takes place as the Spanish government is trying to make amends for religious persecution during the Inquisition, proposing a law to grant nationality to descendants of Sephardic Jews driven out of Spain. The town's name dates to the period after Catholic monarchs King Ferdinand and Queen Isabella ordered the expulsion of Jews in 1492. "It was an unattractive name that didn't please anyone," he said. But he said vestiges of Spain's historical intolerance to Jews remain in places like the northwestern town of Leon, where an old Spanish expression "killing Jews" was used to mean drinking wine with lemonade during Easter week. "Let's hope this change in attitude finishes up eliminating such unfortuate expressions," he said. Jewish communities around the world are awaiting details of the documents they will have to produce to prove Sephardic ancestry if Spain's parliament passes the bill proposed by the government to allow them citizenship. Signs of the historical persecution of Muslim communities are also present in Spain. Socialists in the regional parliament of Aragon in February proposed modifying the region's coat of arms to remove the image of four severed heads of Moors, the Muslim rulers of much of Spain in medieval times. "I prefer any name that could encourage racism or xenophobia to be avoided," he said. "We need to start drawing people's attention to this."